Congratulations to the College Park Community Library and the College Park Lions Club on Saturday’s successful Festival of Books, held at the United Methodist Church. 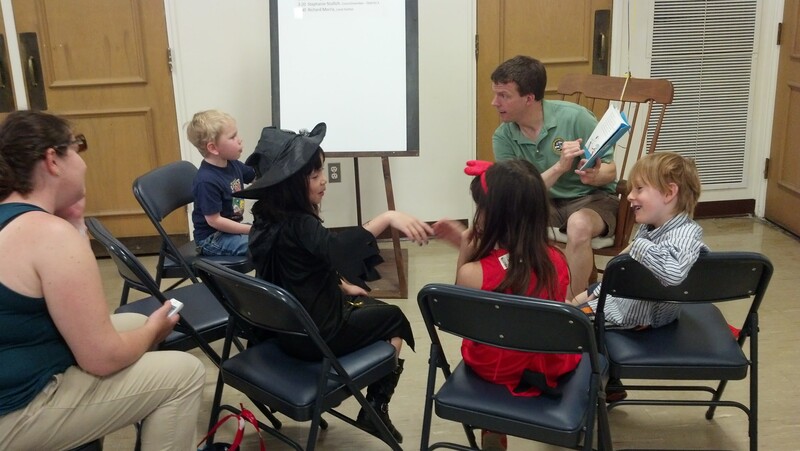 District 1 City Councilmember Patrick L. Wojahn reads to the kids in attendance. Local authors featured at the event included District 3 City Councilmember Stephanie Stullich and novelist Richard Morris.